To initiate the monsoon clean you got to rewind it right back to the start and tend to your skin. 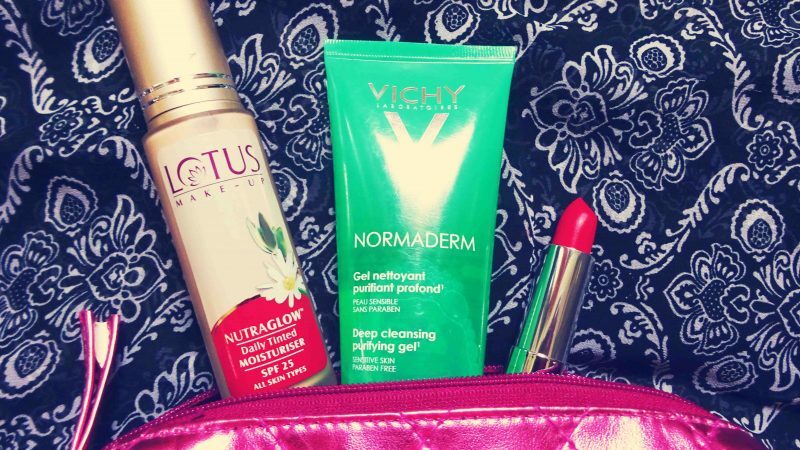 I just looooove the Vichy Normaderm Deep Cleansing Purifying Gel for this; a runny formula that transforms into deep cleaning bubbles and ousts stubborn makeup like no other. 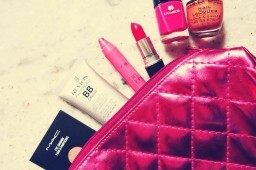 Keep the gel close and attempt a deep clean once a day – shall we make it a little pact? Fab, OK moving on; with cleansed skin, it’s only right to ramp up your face base routine. 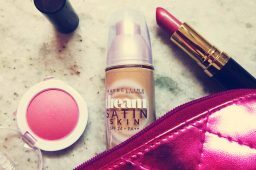 I’m a die hard Revlon Photoready BB Cream fan, oh I am, but I’ve extended my bevy of bases to include Lotus Herbals’ Daily Tinted Moisturiser. Slightly thicker than Revlon’s offering, so a little more suited to drier skins and without any fancy scents – it’s a stripped back offering that does exactly what it says on the box. For makeup I propose just 1 product to get those cosmetics cogs moving in a more monsoon-like fashion. 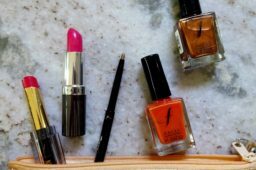 A recent find and one that I’ve been using since I scouted it out in the aisles of Health & Glow is Maybelline’s Color Sensational Rebel Bouquet Lipstick in Reb 1. A flipping bright red might not seen like an obvious choice for me but it gives an equally gorgeous glow to the apples or pout and I’ve liked sporting it on the lips paired with mascara and base for an inconspicuous splash of colour. 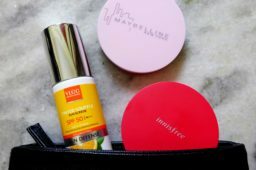 3 products into June’s beauty bag that shall have my stash and skin looking squeaky clean and monsoon-esque in no time. Done and dusted. Regime rotation sorted out, you know what else is a good way to see in the month? Having another tub of chocolate ice cream. Cause one more won’t hurt, will it?